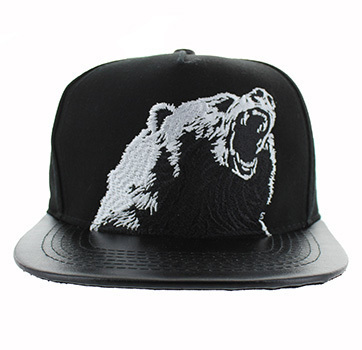 Fierce Bear Snapback Cap, adjustable-one size fits most. All black cap with faux leather bill and white outline of a grizzly bear's head. Very detailed.Heavy duty, solid acrylic material.